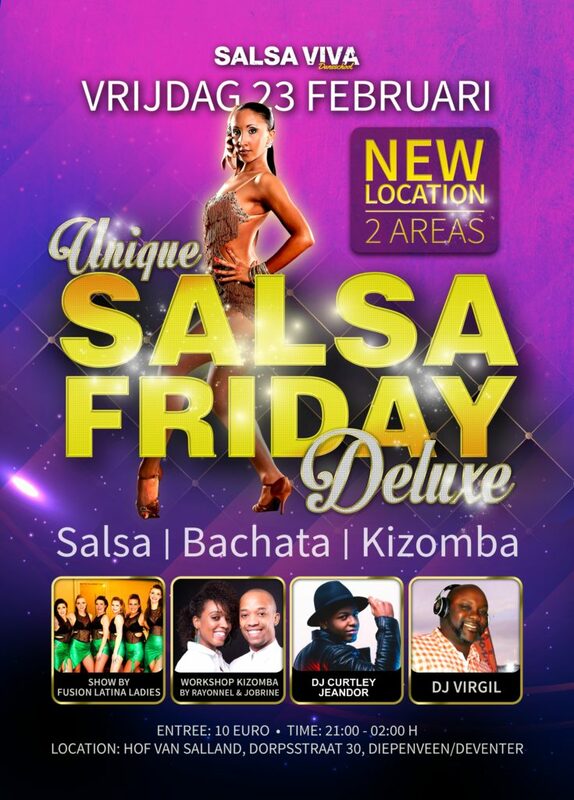 Salsa Saturday Deluxe 22 december! Enjoy the next special Salsa Saturday Deluxe party on Saturday 22 of December! Please contribute to the good atmosphere of this special anniversary and Christmas edition and dress up chic at your best! The pictures of last party 27 of october you can find here. Thanks everybody for joining our party – crowded till the end! Thanks to the DJ’s and special thanks to Salsaddiction for their great workshop and ‘Exquisite’ show. Bekijk hier de foto’s van het geslaagde Salsa Friday Deluxe van 23 februari 2018.